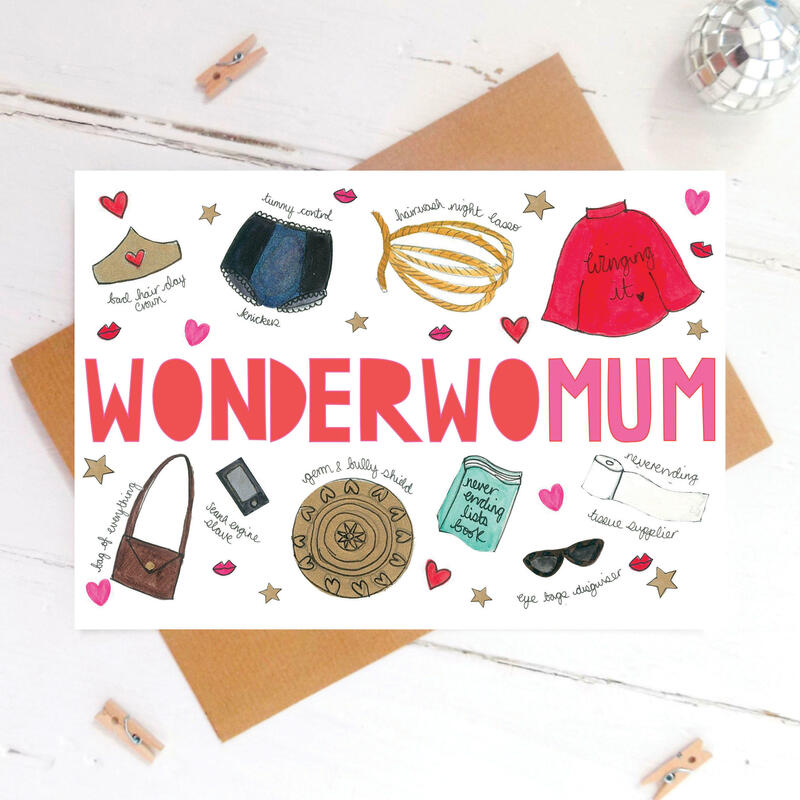 A bright and funny Mothers Day card to celebrate the superhero Mum in your life. Ideal as a birthday card for Mom, or a celebratory card for a tired new Mum, it is guaranteed to make her smile. Printed watercolour illustrations including; a crown for bad hair days, tummy control knickers, a hair wash night lasso, a cape, a bag of everything, a mobile phone for search engine slaves, a germ and bully shield, a book of never ending lists, eye bag disguising glasses and a never ending tissue supply for snotty noses.